It Takes A Crowd — Anna Akbari, Ph.D. The first recorded crowdfunding campaign may have been for the Statue of Liberty. When funds were needed to finish its pedestal, publisher Joseph Pulitzer asked for help in his New York newspaper, and about 125,000 people gave $1 or less to raise over $100,000 in six months. 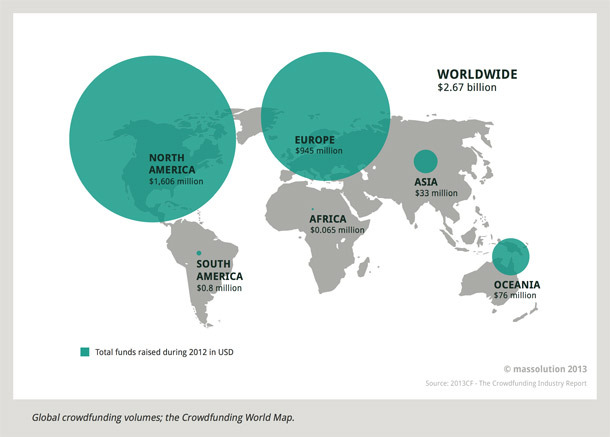 Fast forward 129 years to 2013, when the crowdfunding industry (raising capital online through small donations) is projected to peak at $5.1 billion. 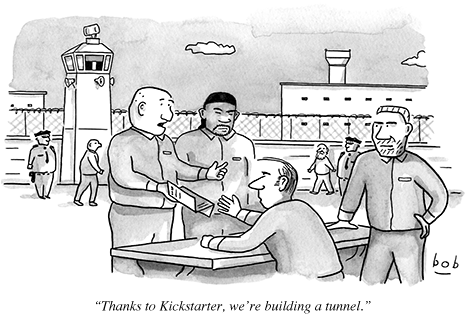 In other words, crowdfunding has revolutionized fundraising. The industry was literally kickstarted by Kickstarter, one of the original crowdfunding platforms that has seen over $574 million change hands across its site. And now almost anyone with a project and goal can solicit a critical mass of funding from cyberspace, while rewarding backers with prizes in the process. 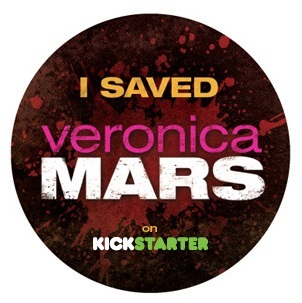 Kristen Bell’s Veronica Mars movie project is a good example of how crowdfunding is shifting the future of the film and media industry, as well as setting records: With over 90,000 donors, Bell’s campaign finished with the all-time highest number of backers on Kickstarter, and was the fastest project to reach both the $1 and $2 million marks. After Canadian freestyler Sarah Burke died in a skiing accident last year, her friends raised $300,000 for the Burke family in 3 days using GiveForward, a crowdfunding site dedicated to helping people during a medical crisis. With health care costs at about $8,000 per person in the U.S., and over 72 million Americans taking on medical debt every year, GiveForward’s niche is meeting a critical need. This Chicago-based startup has over 3,000 active fundraisers – which are free to create and maintain – and only deducts 7% from each transaction to cover costs. You Caring limits its scope to seven particular categories: medical expenses, memorial/funeral expenses, tuition help, adoption fundraising, mission trips, animal/pet rescue or helping a neighbor in need. 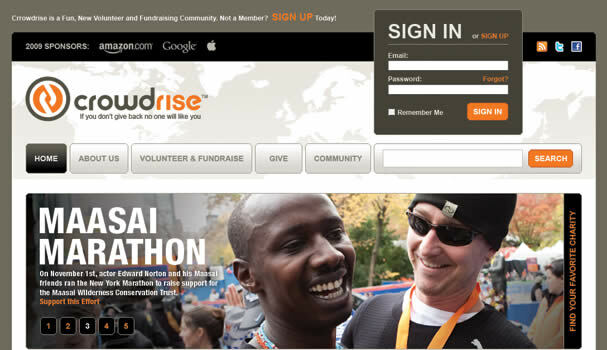 Since its inception in 2011, You Caring has hosted over 39,000 fundraisers, garnered over $31 million in donations, and saved users an estimated $1.5 million in fees compared to competitor crowdfunding platforms. That’s because You Caring doesn’t take any kind of cut, since it is supported by donors all over the world, making it “truly 100% free,” as its website boasts. Another perk of this site is that you don’t have to reach your goal to get your donations, since money is deposited directly into the user’s PayPal or WePay account as soon as it’s received, no questions asked. According to recent studies, adoption in the U.S. can cost up to $40,000, which is why the crowdfunding site AdoptTogether has devoted itself exclusively to helping people with adoption costs. Housed under the Hoping Hearts Foundation, all donations to AdoptTogether are tax-deductible, and the nonprofit covers its overhead fees elsewhere, so that adoptive families receive every penny they raise. So far, over 100 families who have used AdoptTogether have their children home with them. 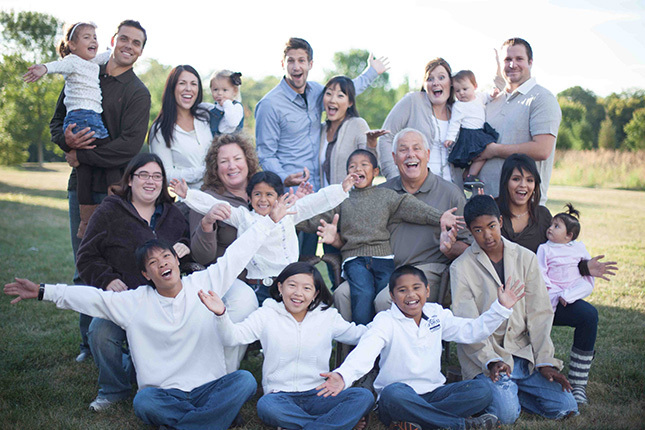 The site’s founders, Chuck and Anne Fortener, know firsthand the costs and benefits of adoption, having fostered over 30 children and adopted 8 of them from five different countries. Along with their three biological children, the large, diverse Fortener family (pictured above) is hoping to make the adoption of orphan children more communal, accessible, and sustainable, which is also why their next project will be NoMoreOrphans.org.